As 2011 ends and we move in to a new year, we move into new trends in website design. Design trends for this year will be sure to help grab your visitors’ attention. While the eye is naturally drawn to graphics and images, it is important for the design of your website to integrate with its function. 1. Colors – Brighter colors are being used more than neutrals, but in moderation. You never want to mix too many different colors or use bright backgrounds that will make it hard on the viewer’s eyes. 2. Typography – Custom fonts are being used more with effects like depth, gradients, and transparency. 3. Images – Images are always important to grab the user’s attention. 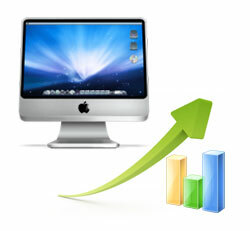 Larger images and background images are a current trend that will continue into 2012. 4. Animation – Animation is always a great way to enhance a website. 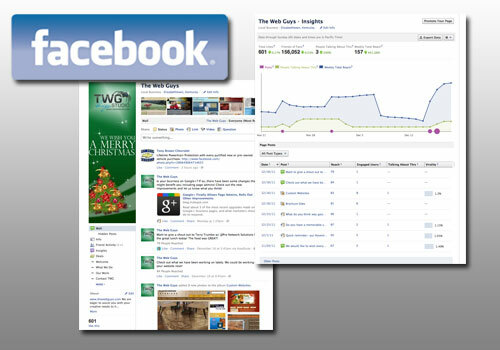 In 2012 we will see more movement with websites. 5. Responsive Web Design – This means that your website responds to the device it is being viewed on, which makes it easier to view on different screen sizes, including mobile devices. 6. Minimalist Design– Sometimes less is more. In 2012, simple designs will give more appealing results. It keeps your website organized and allows the message to be more prominent. 7. Infographics – Put important information into an infographic to present the info visually. Your users will be more likely to read the info and be interested in what it says. Does your website incorporate some or all of these trends? 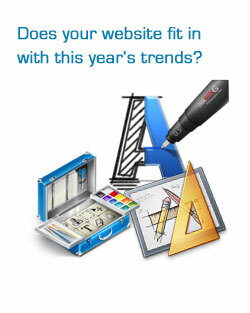 If not, are you thinking about updating your site design to be fresh for 2012? The website designers at TWG are up-to-date with the latest trends and styles for website designs in 2012 and ways to incorporate them into your website’s function for the best results. In order to get the most out of your website, your customers should come first. They need to be considered every single step of the way: from the usage of the website, to the navigation, to the layout. Every aspect of the site needs to ensure that any user can visit and be able to find exactly what they want, quickly. Here are some tips to help you get the most out of your website. Who will be visiting your site, and why? This knowledge is vital to the success of your website. Think about why someone would want/need to visit your site, and focus all other aspects of the website around this. What are they hoping to achieve by visiting your website? To learn basic information about the company and find contact information? To view your inventory, or purchase products? Whatever the reason, if you know why they are visiting, you can focus your website to allow the users to access information faster, and with less hassle. Browsing and searching are the 2 main ways that users access content on your website. Is your website easy to use, and easy for the end user to find exactly what they are looking for? All content on your website should relate as close as possible to the reason the website exists. If you have an ecommerce website, then you should have information about your company, but the main reason users will visit will be to purchase products, so ensure this is an easy task for the users. 3) Thinking about adding a new feature, getting a redesign, or don’t have a website, and want to get one? Does the potential change positivity affect the visitors? Before committing to a change, make sure the change is something that will make the website more effective, and will meet the needs of the users. Will design updates or a new website help your users? If you want a new design, while you are going through the process to get it setup, always keep in mind that the users are the most important, if your users are not happy, then your website will be less successful. If this will be your first website, don’t worry; we, at TWG, are experts at making sure your website works perfectly with your business goals. We will help you every step of the way. If you are interested in getting updates, a redesign, or a brand new website, feel free to contact us, at TWG Design Studio, and we will go to work harder for your business to provide you with everything you need to reach your target audience successfully.